Writing a blog with so many potential puns and doing all I can do avoid them is going to be no easy feat. It’s likely to be tiring, exhausting even, but as long as I tread carefully I’m sure Audi fine. 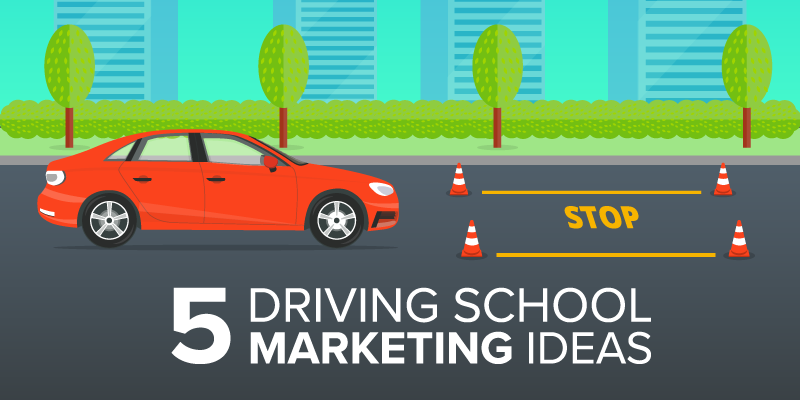 Whether you’re looking to start from scratch, wanting to move from a driving school to independency or simply want to ensure you’re doing all you can to maximise your business; here are some ideas to keep you on track. Before anything else, you’ll want to establish yourself as a brand, and I don’t mean every letter ‘L’ associated with your business has to be turned into a learner plate; what I mean is what are your best features? Do you have an exceptional pass rate? Can you offer cheaper rates than your competition? In other words: what sets you apart from the rest? These are questions that you should be asking yourself and the answer should determine your selling points. From there (spoiler alert) you can direct your website, social media and App in the direction that represents you as a driving school. Nowadays, it’s not very often a Millennial reaches into their pocket and pulls out something without a touchscreen. As of 2014 mobile devices overtook the desktop in terms of internet use, so this isn’t at all surprising. Getting a driving school App to make the learning experience easy, modern and accessible and is a great attribute you should seriously consider. 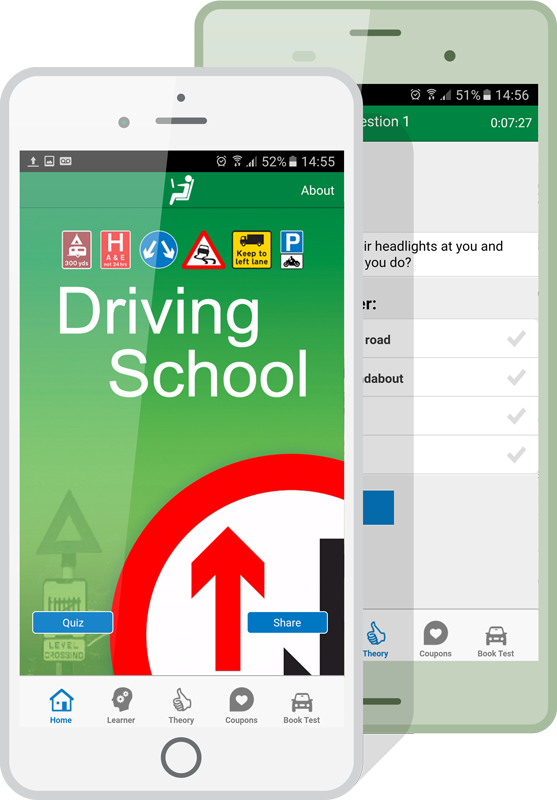 Making your own driving school app has now been made easy and comes with many additional features that appeal to the younger generation assisting you in personally managing your business from every angle. These include an online booking system, where your students can book and pay for a lesson slot in your schedule through credit card or PayPal. A messaging centre allowing you to communicate any information you need to send to the masses. A quiz to help students practice for their theory test. A contact form, allowing potential students to contact you in a structured way through a simple format. Lastly, you can create your own coupons letting your students claim discounts and rewards. All of these features are stored in a highly customisable and easily manageable format that can bring the most out of your business. Try it out for free and judge for yourself. Your website is where any information you offer should be available. It’s a great opportunity to show your personality and express your style of teaching. It’s a great addition to having an App as it’s still beneficial to have your business accessible from every device and some instances (if your student is at work for example) a desktop is still the preferred device. There are many websites that provide templates you can use to ensure a tidy, organised and purposeful layout. Social media is something you should be doing. No ifs, ands, or buts. It’s free, you have complete control and when used correctly targets just the people you need. Let me lay out a scenario: a student of yours, 17, has just passed her test and you take the obligatory picture of her holding her certificate while stood in front of your car. Another for the gallery, excellent. But why stop there? Through your Facebook page, you can tag her, congratulating her on her success for all her friends to see, meaning all of her friends see the picture of her AND that she passed through you. I’ve seen these kinds of pictures have over 100 likes, and a considerable amount of shares and comments to boot. That’s a lot of traffic linked to your page – many being teenagers looking to start driving in the near future. Be sure to use Twitter and Instagram as well as Facebook, tailoring the content to suit the platform where necessary. As good as the digital age has been for business marketing, let’s not forget about the basics. Business cards are a simple investment that come hand in hand with word of mouth. There are so many situations where having a simple card with your details can seal the deal. So ensure you always have them handy to provide to your students; you never know if they have a friend hoping to hit the road soon. More and more instructors are looking to escape the expectation of being part of a driving school and want to do it their way. The best part about this is you have full control over, well… everything. Don’t let this daunt you and it can become your greatest strength. Use these ideas to point you in the right direction and most importantly do it your way with your style.